event in recorded history. In 186 AD a series of nine volcanic eruptions occurred. 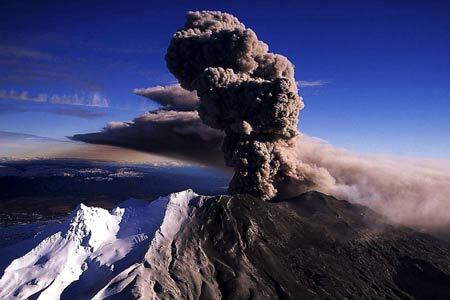 In a few short minutes 30 square km of poisonous ash, rocks, lava and pumice were emitted. Such was the extent of the volcanic fallout, even the ancient Romans and Chinese are reported to have experienced darkened skies. A group of friends gathered weekly for a shared silent meditation. They were people sharing a common awareness of the immense capacity of the mind to create. It was decided that they would attempt to manifest a ‘being’ through their collective focused intention. Together they agreed on the form the being was to take, down to the type and colour of its hair and clothing and even its name. Each week they sat in a circle in silence, each person focused on their goal. They were unwavering in their resolve. Months went by and nothing happened. Some frustration crept into their thoughts; but they were an experienced group of meditators. They persevered. More months passed and still there were no results to show for their clear and focused intention. Approaching the end of one session they grew tired. Giddiness set in. One of them giggled, and that giggle, like a yawn, spread through the group. Soon they were all laughing uproariously. In that moment of levity, the being, exactly as they had imagined for all those months, appeared in the centre of the circle. There efforts had succeeded. Are you taking life too seriously? Is it worth it? When you are joyful and relaxed and able to laugh at your foibles and the sometimes unexplainable, painful and bizarre nature of the human condition, all things are possible. I am relaxed, confident and fulfilling my purpose. I am happy and at peace.